This design is based on a 2 day parametric workshop. The purpose of the workshop was to learn the basic steps of parametric design and understand how this method could relate to Islamic and Persian architecture. 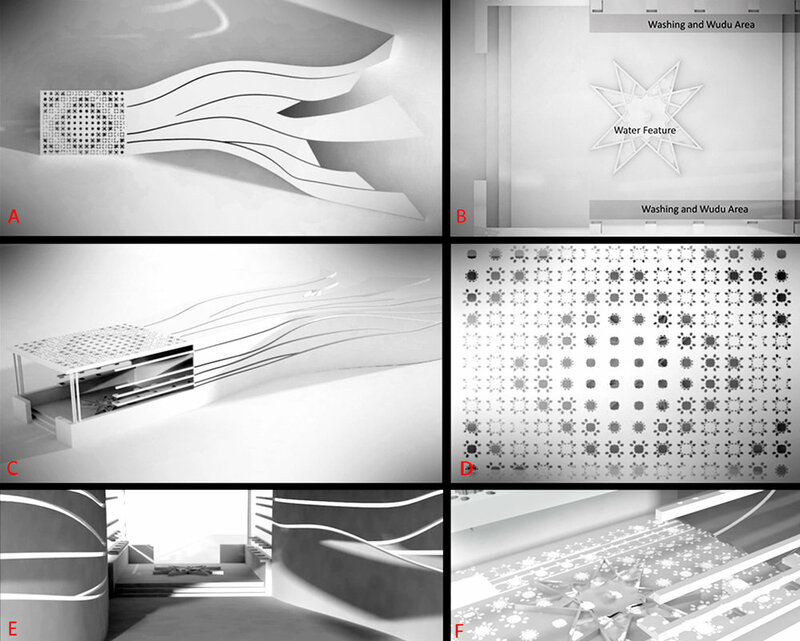 The task was to propose a design using geometric patterns to assist it with parametric principles. The design is a place for the prepreation of daily prayer. A place where prayers wash up, which is called “wudu”, before getting ready for prayer. 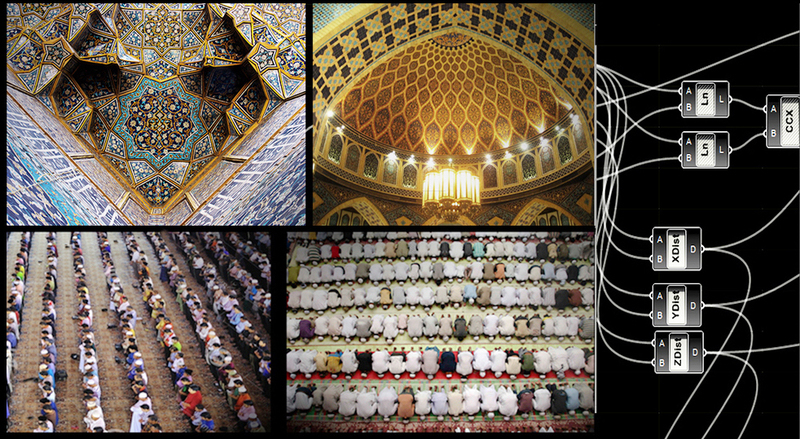 Capturing the “order”, which is created through the act of prayer. Before the act itself, people with different backgrounds gather together to prepare and wash up. This act is called “wudu”. The area in which “wudu” takes place is covered with a roof. Panelized parametric patterns which creates a convenient area by letting the light flow through the panels resulting in a parametric light pattern on the ground as well. Using grasshopper, the patterns were developed & tweaked to create the final roof panel.